CONGRESS Newsletter 1/2018: Programme online! CONGRESS-Newsletter 2/2018: Don't Miss Out - Register Now! “The weekly change in the canteen’s menu is the biggest change we’re facing.” This or something similar was the public perception of the challenges of an energy supplier in the 1990s. What annoyed us a little back then makes us smile from today’s point of view and at least gives us a glimpse of the truth. Please don’t misunderstand us. We have always faced challenges that drive our companies to innovate and change. We have always responded to these challenges with dynamism, found smart solutions and implemented them efficiently. But today everything is different : The current, globally visible processes of change, the multitude of topics raised at the same time and their relevance to areas beyond pure energy supply has a completely new dimension: Digitalisation, flexibility, security of supply, energy storage, decentralisation, integrated energy supply across consumption sectors, mobility, climate protection and, of course, market design are only some aspects worthy of mention. It is remarkable that power generation is always at the beginning of the chain: Digitalisation, security of supply, power storage, integrated energy and e-mobility are neither conceivable nor feasible without generation. These completely new requirements are of course challenging, but above all they offer one thing: Opportunities for the future. We will support to shape the energy world of the future. We have the expertise and experience. This is a great honour, but also a great responsibility. What could be more exciting? Let us discuss, learn from each other and develop ideas for the energy supply of the future. speakers and the companies at the accompanying trade exhibition, we will highlight the latest innovative solutions for technical and commercial change in power generation in the presentations and discussions. Our dialogue forum focuses on the topics of “Optimisation of power plant productivity”, “Progress through digitalisation in operation” and “Reduction of emissions”. We are also pleased to invite you to Munich together with our international partner organisation IERE – Electric Power Technology Platform. As a participant in the VGB Congress you are cordially invited to attend the presentations at the IERE workshop, which will take place in parallel under the joint event motto “Power Generation in Transition”. We are looking forward to seeing you and listening to your contributions at the VGB Congress 2018, the industry meeting for power and heat generation. There, in the Munich, we will discuss the way forward, our ideas, our activities and work for the power generation of the future, its technologies and opportunities in the marketplace. A varied menu during the breaks is of course also provided for, even if this time it will certainly not be discussed as a change topic. 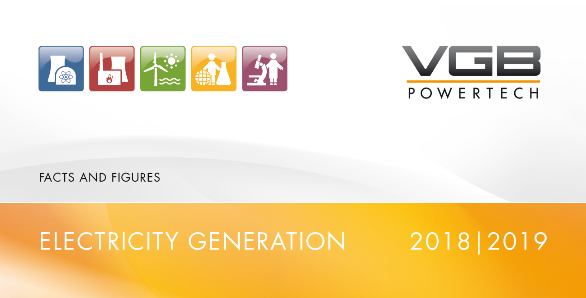 VGB offers all participants a neutral platform to exchange and gives a view on the technical future of the power industry in Germany and Europe. The VGB PowerTech and the exhibitors invite all participants to a get-together. Catering will be arranged. Use the opportunity to intensify your contacts and to have interesting conversations. Dr Hans Bünting, Chairman of the Board of Directors, VGB PowerTech e.V. Speaker P1, P2 and Dr Hans Bünting, Chairman of the Board of VGB PowerTech e.V. E2 What is the story behind pant performance enhancement? The Joint Event is the collaboration of the annual international IERE Workshop and the VGB Congress titled with the common theme ”Power Generation in Transition”. The international IERE workshop is supported by RWE Technology International GmbH, Essen as local host company. All participants have the opportunity to join the lectures of both events without limitation and to exchange information together in the common break areas and the exhibition areas as well as the joint Get-Together in the exhibition, the Joint Evening Event and the Joint Technical visit. IERE is an organization for exchanging electricity and energy related cutting-edge technologies and R&D information among its members from the electricity & energy supply industry, equipment provider businesses, academic research, government, etc. This unique platform is of great help for executives, senior managers, engineers, and researchers who are responsible for R&D and solutions. It is a worldwide, non-profit organization, established as “International Electric Research Exchange” in 1968. Remember when you got your first mobile phone? It was not smart yet, but still it disrupted your live as you could suddenly make phone calls from almost any place your provider covered. One of the early challenges was that remembering to recharge your phone was a routine disruption that soon became a new routine. The rise of renewables, mobile and digital technologies in the energy industry worldwide requires similar adjustments. Over the past decade, the disparity between utilities is growing fast, with those owners gaining a competitive advantage, who are willing to modernize their business models while others who work against or delay change will lose ground. The majority of global installed capacity is still conventional generation, with coal holding the lead. As those units age – especially when they find themselves in changing markets or regions requiring more challenging operating profiles – they will need modernization and flexibilisation in line with new business models. The unpredictability of renewable assets that operate only when the wind blows and the sun shines require changes to operational models. More frequent cycling, start/stops, and ramping of assets cause faster equipment wear. In addition, a cleaner, greener and integrated grid requires the solid foundation of a modernized, upgraded and expanded transmission system. This session will focus on the development and integration of various technologies and systems to adapt to changes in strategy and operational models. There is a growing trend in the power industry to shift away from coal-fuelled generation toward clean power. However the crux of the clean energy debate is that it comes at a price, both fiscal and social. There is a cost to eliminate smog and greenhouse gases by transforming plants to clean coal technologies. This session will focus on technology options, technology selection and grid access issues related to clean power applications and research findings. This session will focus on cases studies, application experiences and research findings within the electricity supply industry in deploying new technologies such as digital solutions, big data applications, internet of things (IoT), artificial intelligence and robotics. Market forces and policies are driving the energy industry to reduce carbon emissions implementing advanced reduction technologies. This session will focus on the latest technology trends and options aiming to reduce emissions, improve efficiency and lower generation costs. As mentioned earlier at “About the Joint Event” IERE-RWE TI Munich Workshop is a part of the Joint Event co-organized IERE and VGB. You are kindly requested to register according to your membership of IERE or VGB. When you have both memberships from IERE and VGB, please kindly ask the IERE Central Office at register@iere.jp or the VGB secretariat at vgb-congress@vgb.org. Munich, beer and the Hofbräuhaus – they’ve all belonged together for the past 400 years. Since the early 19th century, the famous beer cellar at the heart of the city has been a magnet for the people of Munich and travellers from every corner of the globe. Its delicious beer, traditional specialities, legendary “Gemütlichkeit“ and fascinating history have made the Hofbrauhaus into the most famous beer cellar in the world. On September 27, 1589, Duke Wilhelm V founded a brewery on the site of the Munich royal residence of that time. This first Hofbräuhaus lasted till the year 1808 and was only a few steps away from today’s one. Maximilian I built his ducal Weissbier brewery in 1607, thus laying the historical foundations of today’s Hofbräuhaus. Half the daily visitors are regulars. And one of them is actually an angel – if the old legend about the “Münchner im Himmel” is to be believed: Alois Hingerl, the main figure in the story, was a regular at the Hofbräuhaus all his life. When he died and arrived in heaven he irritated a lot of people there by being so homesick for Munich. He moaned so much that eventually God decided to have mercy on him, and sent him back to his old home on a mission for the Bavarian government. But the moment angel Aloisius smelt the air of Munich again, he forgot all about his divine mission and flew straight off to the Hofbräuhaus. There he finally found peace of mind, and has been enjoying one beer after the other ever since. And to this day, so ends the tale, the Bavarian government has been waiting in vain for divine inspiration. You can look forward to a special evening and enough time for your interesting talks. Certainly catering will be arranged. The palace complex Schleißheim is one of the most important Baroque facilities in Germany and located in the district of Munich. It includes three complexes: Old Palace, New Palace and Lustheim Palace. The individual buildings of the 17th and 18th centuries are connected in a large baroque park. All three palaces and the park can be visited. There are inter alia changing photo exhibitions and a Meissen porcelain collection, complemented by the restaurant Schlosswirtschaft. The Flugwerft and the airfield Schleißheim are amongst the oldest airfield facilities in Germany. Its history reflects the eventful development of aviation as well as the political history of Germany in the 20th century. The Schleißheim airfield belongs to the Deutsches Museum and approximately 70 aircrafts on display document a century of civil and military aviation on an exhibition area of around 7,500 m². Take the train S1 from Unterschleißheim station to Munich Central Station (25 minutes travel time). Get to know the city’s highlights on a hop-on hop-off bus tour (Grey Line Sightseeing). Your ticket is valid the whole day and you can get on or off at each stop. Departure and arrival is always the Bahnhofsplatz (near central station) in front of the department store ‘Karstadt’. The tickets can be purchased online or on site. A geothermal energy source is hot thermal water drawn out of easily permeable limestone layers in what is known as the Malm aquifer, a geological stratum found in wide parts of the region. Munich is located right on top of a huge reservoir of natural energy source: hot-water accumulations with temperatures ranging from 80 °C to 100 °C are located below the surface of the earth at a depth of 2,000 metres (northern city limits) to 3,000 metres (southern city limits). The heat from these geothermal sources is ideally suited for use in heating . This involves pumping the hot water to the surface and channelling it through heat exchangers where its energy is extracted. The cooled water is then fed back into the deep -lying reservoir. The geothermal power cycle thus does not impact on the ecosystem. In Sauerlach, the thermal water temperature is much higher than in Munich – more than 140 °C at a depth of about 4,200 metres. As a result, the thermal water can also be used for electricity generation, not just for heating purposes. The Sauerlach geothermal combined-heat-and-power plant delivers electricity to 16,000 households while simultaneously providing heating for Sauerlach households. Participants: 40 maximum. Please register as early as possible. A block of rooms has already been reserved in the conference hotel. The room contingent is valid until 10 August 2018. Please make your reservation under the keyword „Congress 18“. HRS can assist you finding right accommodation. The VGB office regrets being unable to make reservations!